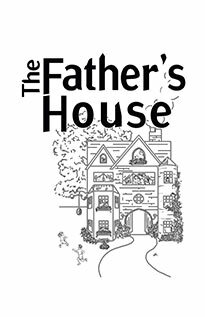 Have you ever wondered what it would be like to live in the Father's house? What would it be like to live in a place where we can experience the richness of being a son or daughter of the King? A place where we can grow up from being a simple child and learn to take responsibility for others around us? Trusting Father to lead us, bounce us on His knee, and correct us when we need it. Here's a small glimpse through that window into the Father's house. What an unbelievable place it is! The only way to believe it and experience all of the wonder of the Father and His House is to live there with Him. Picture with me if you will, a house. A large, expansive, inviting house, warm and protected, secure, safe and solid. It’s full of plenty of windows which allow floods of light to brighten every corner and refreshing wind to freely blow through. This house is wonderful. And best of all, this house has the perfect Father. He is everything a child could want: strong, gentle, understanding, sensitive, full of mercy, very slow to grow angry, extremely patient, nothing but honest, truthful, straightforward; deeply compassionate and tender-hearted; not to mention, He has the deepest depth of perfect, selfless love. That means He loves His children not for His own gain but rather for the child’s sake that the child can know a pure, undefiled love. This love is just because. Just because that’s the nature of the Father. His love isn’t conditional—it doesn’t depend on how the Father is feeling that day, or on what the child has or hasn’t done. His love is consistent, patient, long-suffering, hopeful, gracious, tenacious, boundless and strong. He is good. His heart bleeds for the brokenhearted and longs to bind up the wounds of the hurt ones. What a house this is! Any child would long for a place like this and for such a kind Father! Every child who lives there is abundantly blessed and overly provided for, living in the best possible environment. Wow!! Who wouldn’t want to live there where a Father loves so fully, so freely, so completely, so perfectly—not even for His own sake, but just so the children can be loved? Well, the children who live there are so grateful, (and grow in gratitude more and more) and so free to express their love to their Father. They’re true children too, of all ages, from infants to teens to full adults (because even the grown ones never lose their need for the Father’s watchful eye and for His love and His provision). All sorts of activities continually take place in this home. Lessons, play, hard work, lots of laughter and joy; tears too at times, and all this together with one another. The older ones help the younger ones, siblings play, babies cry. But even with the busy activity and the clamoring noise, peace remains throughout the workings of this home and a certain unity of heart rests on all its inhabitants. He found each one and personally invited each to come live with him in His warm, protected home. Needless to say, plenty of blunders and goofs go on and even quarrels, temper tantrums and other selfishness. But the goodness, wisdom and strong love of the Father all comes through to the children to correct the behavior and heal the hurts. He demonstrates His constant devotion with much kindness and great big hugs when peace reigns again. A common thread for all the children of the house is that all these children have been adopted as sons and daughters of the Father. He found each one and personally invited each to come live with him in His warm, protected home. At that time, the children were in a despicable and unlovable place—and they knew it. Logically speaking, no one would have any reason whatsoever to adopt them. But the Father can’t help Himself, because His heart bleeds for the brokenhearted and longs to bind up the wounds of the hurt ones. He must see the ruined children restored to a decent life and for the children who were headed for sure self-destruction, He can’t bear to let them go. He sees that every child He meets is really a mess, whether they know it or not. When He comes across each of the orphans, His Way is not to force them into His Home. He simply extends His offer, and even compels and persuades to a measure, but He never forces a child against his will. He just continues on His way till He finds some who gladly respond. those few who choose to accept His offer and decide that it’s no fun being an orphan and that they desperately need a kind father who will care for them, they follow Him to His Home. Now with all that: a Father who is perfect and kind and generous and radiant with love giving a free invitation to an absolutely splendid dwelling place, you’d think the Father would be mobbed as He walked the streets! You’d think He’d be inundated with pleadings: “Can I please come live with You?” But oddly enough, and…sadly…that’s not the case. Very few actually accept His invitation. Very few in the multitudes of children. Why? In a nutshell, the children who reject His invitation don’t want a Father who will teach, protect, instruct and care for them. They don’t want to answer to a Father about anything. They’d rather just have themselves to answer to. They don’t want to have to meet any of the Father’s good expectations or allow Him to have any authority in their lives. They’d rather be their own boss. Even if they’re miserable, cold and lonely, or even if they think they already have a good life, they will not accept the idea of submitting to a Father who just wants to love them and help them. They want to be their own boss. They think to themselves, “Even if we are orphans, we still can run our own lives.” What they don’t realize is, they are in pitiful poverty out there in the streets and the Father has a goldmine waiting for them in His Home. Well, for those few who choose to accept His offer and decide that it’s no fun being an orphan and that they desperately need a kind father who will care for them, they follow Him to His Home. They freely admit their previous life of poverty, sin and selfishness and gladly cling to the Father and ask Him for help, forgiveness and love. Upon entering the Home, and the care and provision of the Father, a few things are required of the children. (Though over time they aren’t viewed so much as requirements, but actually as essential elements in maintaining a healthy father child relationship). Among them are love, trust and obedience. Without love, no mutual relationship of love could blossom and everything would be mechanical and lifeless. Without trust, a child would always doubt the Father’s love, devotion and capabilities. Without obedience to the Father, chaos and rebellion would rule. Each child would do what seemed right in his own eyes with no regard to the Father’s desires. Obedience is imperative so peace will remain. Without obedience to the Father and His understood common standard, His Home would quickly be no home at all. It would be a tragic no-man’s land. It would break the Father’s heart. His desires for the children are far better than the children’s desires for themselves. So for the children who see the value of this Father’s house and gladly say, “I love you” back to the Father, they cross the threshold with a devotion to love, trust and obey the Father and all His wise and constructive and sensible rules and commands. It only stands to reason that, in order to be part of this Home, one must live according to the Father’s desires, not his own. A small request, really, on the Father’s part, considering how generous He’s being with His offer of undying love and goodness, not to mention a warm, safe environment to live in. And, realistically, His desires for the children are far better than the children’s desires for themselves. That’s just another reason why adherence to the Father’s wisdom is imperative. Unquestionably, these orphans, upon adoption, become the most blessed and most loved children on earth. Well, in this house, it is easily understood that, should a child choose to not love his Father and disobey, he will be disciplined. Out of His great love for the child, the Father teaches him that, upon an act of disobedience, He must feel the sting of discipline. The child is in desperate need of this so that he will learn the value of making right choices; so he will learn the necessity of respecting the Father’s desires; so he will not harm himself with bad choices; and so he will not harm his siblings and show a bad example to others; so he will not hinder the workings of the home; and, most of all, so he will not hurt the Father with his rebellion and bring shame to his Father’s name and reputation. The early days for the child are sometimes rough since he’s coming from a life where he always did what he pleased, whenever and however he wanted. Now, in the Good Father’s house, he’s learning the blessing of obeying the Father—a blessing, because his obedience will result in a life that’s exactly like the Father’s life. And that’s good. Really good. That orphan child who lived so selfishly will one day be like the gracious, compassionate, generous Father! Wow! It makes sense, then that the child must begin the process of learning to obey. He must clearly see that his disobedience isn’t just “doing a bad thing,” but much more than that, it is direct rebellion against the Father of the house. It’s a statement of “I don’t care what He says, I’ll do it my way.” It is ugly and a cause of great pain to the Father. Some of the children are learning many lessons and, with each day, grow in their love and affection for the Father. Some of the children are learning many lessons and, with each day, grow in their love and affection for the Father. They have come to appreciate Him, as they have learned to respect and respond obediently to the Father’s wisdom and will. They understand more clearly than ever that the Father has only their best interest in mind, not to mention that the boundless, immense, far-reaching and limitless nature of His love would never accuse or harm them. The older ones have seen His faithful and loving ways through the discipline and that the reproof of their Father is for their own good. If He had failed to discipline, they would have been sloppy, aimless, selfish, undirected and lazy, not to mention a host of other undesirable traits. The child would inevitably think of no one but himself and would never grow to be like his Father. And he would never learn the joy and benefits of being a servant and helper to his siblings. In short, he’d be a brat without his Father’s discipline. The younger children still press their limits at times, seeing what they can “get away with.” They haven’t yet learned the value of Yielding to the Father in a quick way. But they are devoted to responding with love to the Father eventually, and so they are slowly learning that wise nature of God which desires the best for the children. They still focus on “I can’t do this or that,” and “Why do I have to obey this all the time?” They fail to see now, but will realize through experience, that the Father’s expectations are motivated by His love for them. His ways are for their good, not for their harm. The Father’s discipline, because it is for the children’s sakes, produces security and peace in the child’s heart. Most of the children of the house never experienced such consistent, constructive discipline as they now do in this Home. The Father’s discipline, because it is for the children’s sakes, produces security and peace in the child’s heart. With each day they rest more secure than ever in their Father’s love and devotion. In their previous lives, most “correction” the children received, if any, was highly motivated by selfishness (“This child is pestering me, therefore I’ll...”). It was mostly sporadic and inconsistent, which produced insecurity in some of the children and instilled in them a disrespect for authority. Sometimes they “got away” with misbehavior because the adult was lazy, self-centered or unconcerned. How unique and refreshing are the Father’s ways toward His children! His heart is fully motivated by His love and concern for His children whether in work, play, training or discipline. His discipline is good, very good. The other children try to reason with the rebellious and disobedient one. They plead with him to stop hurting Dad and start obeying Him. Occasionally, there comes disruption in that house. And disruption which isn’t quickly resolved is undoubtedly due to rebellion from a child who will not yield and obey. He will not love and listen to the Father. The child is given countless opportunities to humbly admit his wrongdoings and apologize to the Father, but as time goes on he grows more and more blind and even nonchalant about his disobedience and more and more resentful towards the Father and the other children. When this happens, the Father sees that more drastic measures must be taken. Though He understands the difficulty in it, He must ask the other children to help Him by speaking and acting on His behalf. The other children try to reason with the rebellious and disobedient one. They plead with him to stop hurting Dad and start obeying Him. At that point, if the child still refuses to listen, the Father must ask the children of the house to not play, work or even eat with the disobedient one. That seems like a strict way to deal with the rebellious one, but the Father knows that the child will eventually destroy himself and others if he is allowed to go on in his disobedient behavior. The Father loves him enough to risk His own reputation by cutting him off even from relating with the other children. You can bet that the Father’ s decision to discipline the child so strongly is not usually well received. But the Wise Father knows that the purpose for this drastic measure is so that the child might come to his senses and make things right. As the truth of the matter begins to unfold, it may become evident that the unbridled child didn’t even come in through the door the Father opened! He slipped in through a window! He thinks he can be part of the Good Father’s house without obeying or even listening to the Father’s wishes. He really isn’t even a part of the home because he never came over the threshold with a clear intent to love, trust and obey. He seeks the benefits of the Home without the commitment to obey the Father. The Father would only harm the child if He ignored the rebellion or embraced him before things were put right. To ignore the bad behavior would be a direct contradiction of the Father’s nature. The disobedient child must learn that to live in that home under the care and provision of the Father, he must enter through the only door of trust, love and obedience. If the Father allowed and overlooked that kind of behavior, His house would be in upheaval and His other children would be hurt and begin to make excuses for themselves that they too could disobey. The Father wisely keeps the standard of His Home very high—otherwise the whole place would be a shambles. Hopefully, over time, the obstinate child will come to his senses and willingly yield his own stubborn will to that of the Father. The Head of this Home can’t compromise in His discipline until that softness and repentance come. And what Joy in the Home when a child finally obeys! What Celebration envelopes the House on that Victorious Day! Bring the best of the Best Clothes for that child! Bring the best of the Best Blessings to pour on his head! A Feast is in order and a grand Declaration of the Glories of the Good Father! He willingly endured the painful process of disciplining that child, and now His Heart leaps with joy and gladness at the child’s return to the Father. there’s no better place on earth to be than in that Home where all the children are rejoicing and having a party for the once wayward child! But now the days of heartache for that child are gone in a heartbeat. Maybe for the first time, a pure unity of heart and mind and yieldedness and love for the Father now binds that child together with the rest of the Home. Ah…God is so good! What once was the painful, difficult sting of discipline now results in a joy inexpressible and a tremendous peace which passes all understanding. Now we see. Now we clearly understand. Now we know why the Father had to require of His children that they also take part in the Father’s discipline. If they had overlooked their sibling’s previous rebellion, the child never would’ve felt the discipline of separation. He never would’ve seen the need to come back to the Father. Now it all makes so much sense. In this way—by applying consistent discipline—the Father keeps His home as a place of peace and security for its inhabitants. What an unbelievable place it is! The only way to believe it and experience all of the wonder of the Father and His House is to live there with Him. Though He desires all of the children in the whole world to live there with Him, He knows He must have an unchanging Standard in order to keep the house intact. But it’s not hard to live there when you keep your eyes fixed on the Good Father. All things dim in comparison to His Greatness, His Glory and His Majesty. Think about it—don’t you want to live with Him, too?